Eddard looks great as a Pop! Vinyl figure. If you've ever wanted a Pop! Vinyl figure from HBO's hit television show Game of Thrones, then now's your chance! This excellent Game of Thrones Ned Stark Pop! 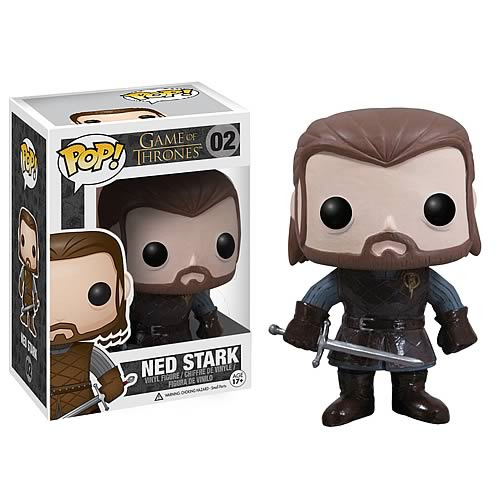 Vinyl Figure features the head of House Stark as a stylized 3 3/4-inch tall Pop! Vinyl figure wearing a leather vest with the Hand of the King pin - complete with sword. Ages 17 and up.